Best quality Wooden Handle Hedge Shear. Blades powder coated black.Our products are available at the most affordable prices and can be customized as per the specifications mentioned by the esteemed patrons. Blade size: 250 mm approx. Regular hedge trimming is an essantial part of Park, Garden, and Lanscape, to ensure dence, health growth and tidy hedges. Powerful enough for most trimming jobs even when branches are old and tough. Confortable to use, lightweight, quiet and enviroment friendly. Double seded blades for rapid cutting. In line with client's diverse needs, we bring forth a distinguished collection of the Edge Cutters. 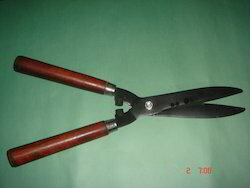 We bring forth finest quality Hedge Cutter to our clients. The Hedge Cutter that we provide is made up of high grade sturdy steel and is corrosion resistant. Our Hedge Cutter remains unaffected by early wear and is fit for long term usage. 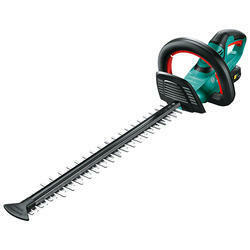 We provide our Hedge Cutter at reasonable prices. - Outstanding cutting performance: high-torque motor and quality, diamond ground blades.